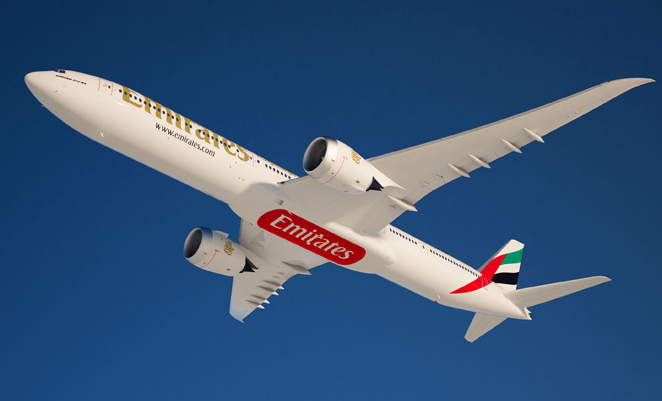 The terms of the massive launch order for 150 Boeing 777-8X and -9X models from Emirates Airline which was announced at last year’s Dubai Airshow have been finalised. A statement from Boeing says the order is valued at US$56 billion at list prices, although it’s unlikely that, as launch customer, Emirates paid anywhere near that amount. The order comprises 115 777-9Xs and 35 of the shorter but longer-ranging -8X, and also includes purchase rights and options for an additional 50 aircraft. The aircraft will be used to replace 777-300ERs in service as well as facilitate growth. The 777X will feature new more efficient engines and a redesigned wing with greater span and folding wingtips. Boeing has taken orders for 300 777Xs, and first deliveries are scheduled for 2020. Gonna be an awesome machine when they are rolled out in to service. What is the intent of the folding wingtips?